Good service as battery arrived next day, is now fitted and works well thus far. I've always found Tayna to be a great company to deal with. 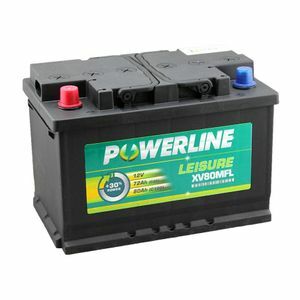 A great range of batteries, cheapest prices, and fast delivery. The battery was exactly what I wanted, and is installed and working great. Thanks. Been using this for two years, first in a campervan then transferred into an Eriba caravan. Powers everything I need for a week away on a site without EHU, although I have a small solar panel to keep it topped-up. Competitive price and great service from Tayna. battery was as what Stephen Hayward said it was like,very easy to deal with this company and a very quick delivery thank you. My 5 stars are for the service and speed of delivery, the battery performance is yet to be proven. 21 hours from placing the order with a company in Liverpool to delivery here in Bournemouth on the south coast is brilliant. Excellent value shame the carrier messed up, first over the address and then damage, but Tanya stepped up with a replacement on next day delivery. Top service. Very please with the battery, exactly the size stated and fitted into the confined space for it in the motor home. The delivery was excellent, ordered at 16:00 hrs, arrived the next day. I would recommend Tayna batteries for their excellent service. Excellent service very pleased with product. Excellent next day delivery, good competative price, well packaged. excellent quality. well packed . next day delivery. highly recommended. Tommy.